An intriguing, sometimes disturbing story of one priest, and a peek behind the cloth. Blurb: Father Duncan MacAskill is called The Exorcist. Not in the traditional sense, however: at his bishop’s bidding, he drives out devils of a different sort – priests who molest children. He does not banish the devils to hell, nor to the police, but to discreet clinics or simply to far-off parishes to commence their sins anew. MacAskill’s loathsome bishop has a heart of ice. He refuses to see abused children as victims. They are merely troublesome complainers who need to be silenced. The Exorcist is more sympathetic, but still he obeys the bishop. 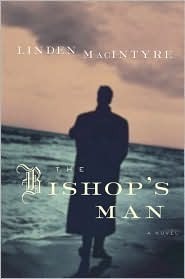 Despite his own celibacy and sobriety issues, MacAskill is the closest thing to a hero in Linden MacIntyre’s riveting new novel, The Bishop’s Man, a searing indictment of the Catholic church. MacAskill is sent to a rural parish in his native Cape Breton, which is also the author’s native land. There, while wrestling with his own demons, MacAskill encounters a troubled young man who appears to be the victim of a notorious priest. MacAskill is determined to help this man, regardless of the consequences for the church. His subsequent investigation takes him on a sordid and surprising path. Winner of the 2009 Scotiabank Giller Prize. Linden MaIntyre was born and raised in Port Hastings, Nova Scotia. After high school, he moved to Antigonish, Nova Scotia, where he obtained a Bachelor of Arts degree from St. Francis Xavier University in 1964. He also studied at St. Mary’s University and the University of Kings College in Halifax. From 1964 to 1967 he worked for the Halifax Herald as a parliamentary reporter in Ottawa. He continued in the same role with the Financial Times of Canada from 1967 to 1970. He was drawn back to Cape Breton after the death of his father in 1970 and for the next six years he lived there and worked as a correspondent for the Chronicle Herald. He joined the Canadian Broadcasting Corporation in Halifax in 1976 and for three years he hosted a regional public affairs show called The MacIntyre File. It was while with this program that he launched a successful legal challenge before the Sipreme Court of Nova Scotia over access to affidavits and documents relating to search warrants. Later heard before the Supreme Court of Canada, the successful suit was a landmark case which set a precedent in support of public and media access to information in Canada. 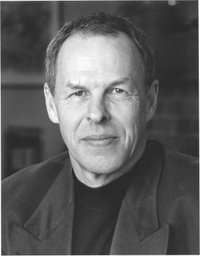 In 1980, MacIntyre moved to Toronto, where he still resides, to work as a producer and journalist on CBC’s new flagship news program, The Journal. This appointment took him around the world preparing documentary reports on international affairs, preparing such notable features as “Dirty Sky, Dying Water” (about acid rain). Various jobs at the CBC through the eighties culminated in his appointment in 1990 as co-host of the weekly newsmagazine the fifth estate, with which he is still involved. In addition, he is a frequent guest host of The Current on CBC Radio One. It has been said that priests, judges, etc., are “quite ordinary people charged with an extraordinary responsibility,” and The Bishop’s Man [Random House Canada, 2009] reflects this maxim in a most believable way. Indeed, it is almost an exposé of the ‘ordinariness’ of priests and, therefore, difficult to comprehend that it was written by a layman. Some of the strong points of this story are the very interesting, complex and colourful cast of characters that populate it, i.e. the wily bishop – the quintessential ‘company man’; young Danny MacKay – the troubled teenager struggling with his sexuality and an uncertain future; Sextus Gilles – the not so happy-go-lucky, likeable rake; and Stella – Duncan MacAskill’s female friend and would-be romantic link. Each of them represents a segment of society confronting MacAskill’s isolated existence, and because of this each has an impact on him in a profound way. Being an ‘East Coaster’ MacIntyre has also captured the outpost community of Creignish with delightful accuracy—the rustic quaintness of it, as well as the neighbourliness of the inhabitants. This includes, of course, an almost intimate knowledge of one another`s families going back several generations. However, no story about the East coast of Canada would be complete without it. Having said that, the numerous flashbacks to MacAskill`s stint in Honduras were disruptive and even confusing at times. Moreover, apart from a reflection of the troubles in that part of the world in the 1970`s, I had difficulty understanding why these were even included. Albeit they were interesting enough, and not a major detraction from the overall story. Altogether, I found The Bishops Man a thought-provoking story that compelled me to keep reading until all the intriguing plot lines had been resolved.